Apple scored a key victory against HTC earlier this month after the U.S. International Trade Commission ruled, in a preliminary decision, that HTC's Android smartphones violated two patents owned by Apple. The ruling could theoretically lead to a ban on those devices from entering the U.S. However, just a couple of weeks earlier, HTC had its own victory against Apple in a separate case that could serve as leverage to reach an out of court settlement. HTC's victory came from another ITC ruling determining that Apple had violated two patents owned by S3 Graphics in both the Mac OS and iOS platforms. 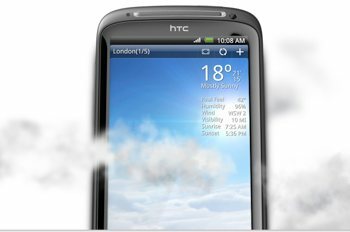 At the time of the verdict S3 was completely independent, but just a few days later HTC announced it would acquire the graphics firm for $300 million to boost its patent portfolio. Now HTC's chief financial officer, Winston Yung, has gone on record with Bloomberg saying they are willing to negotiate with Apple: "We are open to all sorts of solutions, as long as the solution and the terms are fair and reasonable," Yung said. "On and off we’ve had discussions with Apple, even before the initial determination came out." It remains to be seen if Apple is willing to play ball, though, as a victory against HTC will give it more firing power against other Android device makers such as Samsung and Motorola. This strategy is paying off quite well for Microsoft so far, which has scored several victories against Android device makers and now stands to make a chunk of cash from licensing agreements, all while making Android a less attractive platform for OEMs.